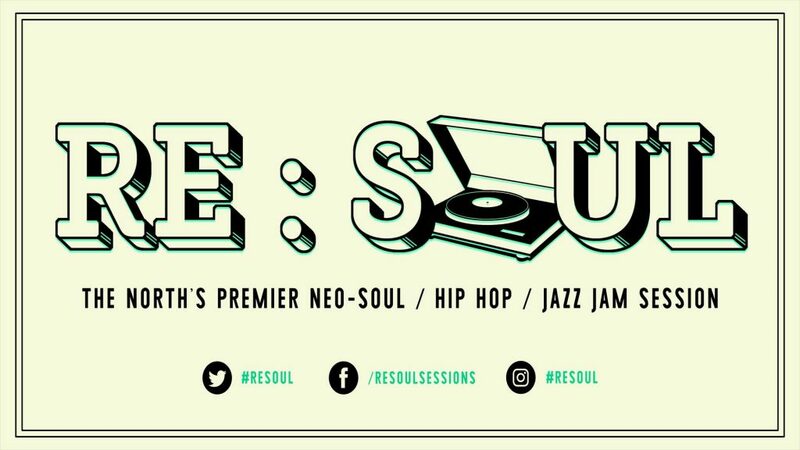 After a great 2019 opening party in January, RE:SOUL returns to The Wardrobe Bar on Monday 25th February. Once again, we feature a new Leeds College Of Music student band for our showcase set alongside the jam session. Meet The Space Antics. Formed in Watford originally and moving to Leeds when the whole band became students at Leeds College Of Music in September 2018, they play original music that’s a fusion of neo-soul, jazz and hip-hop. Their debut single dropped December 2018 and a debut EP is coming in April 2019 (to be launched at the Soul Rebels Sessions/Necktr show). Some of them have already sat in on the jam so it’s great to have the whole band down to play a set for us. Do not miss it. Onstage 9pm. Any musicians, singers, MCs wanting to sit in, hit us a direct message to our page or contact musical director Harry Fowler via his personal Facebook page. You know the score. We post a list of potential jam tunes in this event and on our page in the next few weeks. If you want to perform an original or even a specific cover, pass it by Harry and he’ll see if the house band can learn them in time. Only guidance we give is that they are in the RE:SOUL vibe….deep soul, neo-soul, jazzy hip-hop beats, groove based jazz (as opposed to swing based jazz). DJ Lubi on the decks and hosting the night as usual playing all the right tunes past, present and future. Doors 8pm. The Space Antics 9pm. Jam session 10pm. Curfew 12 midnight. Great drinks promos on beers and spirits. Fantastic live and DJ music. Entry is, as always, FREE!!! !